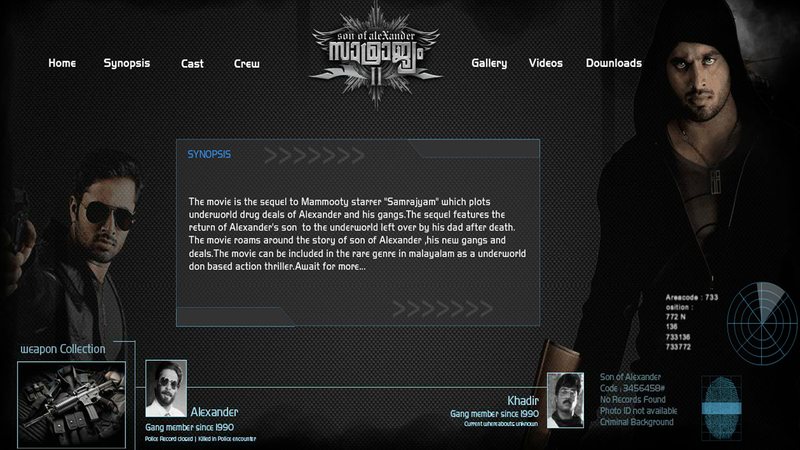 Samrajyam II: Son of Alexander (Malayalam: സാമ്രാജ്യം II) is an upcoming Indian Malayalam gangster film directed by Perarasu. The film is produced by Ajmal Hassan and Byju Adithyan. It is sequel to 1990 Mammootty starrer blockbuster Samrajyam and Unni Mukundan will play the lead role of Jordan, the son of Alexander who was the protagonist in the prequel. The hero launch function was held in Dubai on 5 October 2012. Ashi will play the female lead making her debut in Malayalam. The film's soundtrack and background score were composed by R. A. Shafeer and Ilaiyaraaja, with lyrics penned by Sarath Vayalar, while Shekar V. Joseph handled the cinematography.